← AthTek NetWalk v2.1.32 Has Been Released! 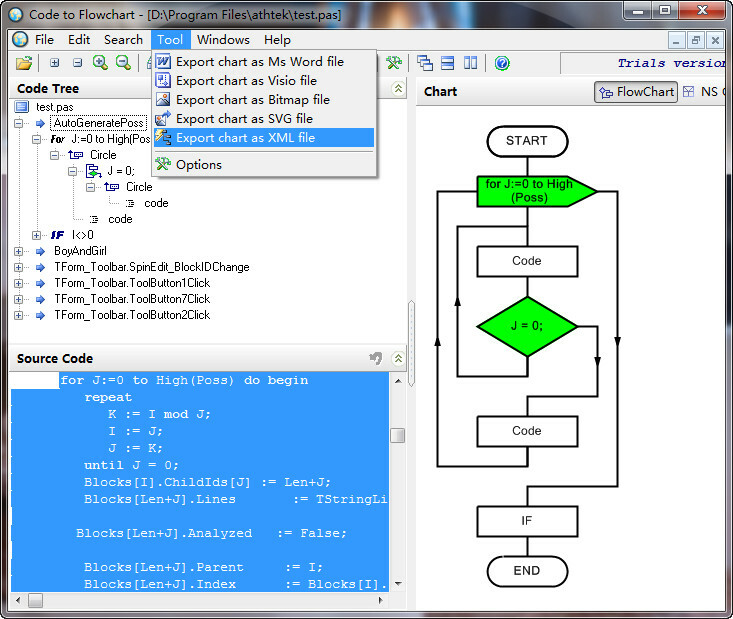 We are preparing to release a new version of Code to FlowChart next week. As you maybe know that we have added a new function – XML outputting in the precious version. But when you are using the trial version, you will find that only you have registered Code to FlowChart, you can use the XML outputting function. In the following update, we will remove this limitation from the trial version of Code to FlowChart. You would be able to try the XML outputting function after 8 seconds short waiting.